After a week or so of disruption due to real life, things are back to normal. I can get back to the never ending task of catching up with the myriad of releases that keep popping into my inbox. This time, it's the turn of Cheshire based noise-punk duo Saltwater Injection and their up-coming single. It's due out at the end of this month officially via Antipop Records and they're currently playing across the UK as I write this. It's not often that a band contacts me who're so obscure that I haven't at least heard of them, so I'm approaching this with open ears. Noise-punk is a funny term in my opinion. It can describe a whole host of bands, from those that lean towards grunge right the way through to those who are genuinely raucous and heavy. 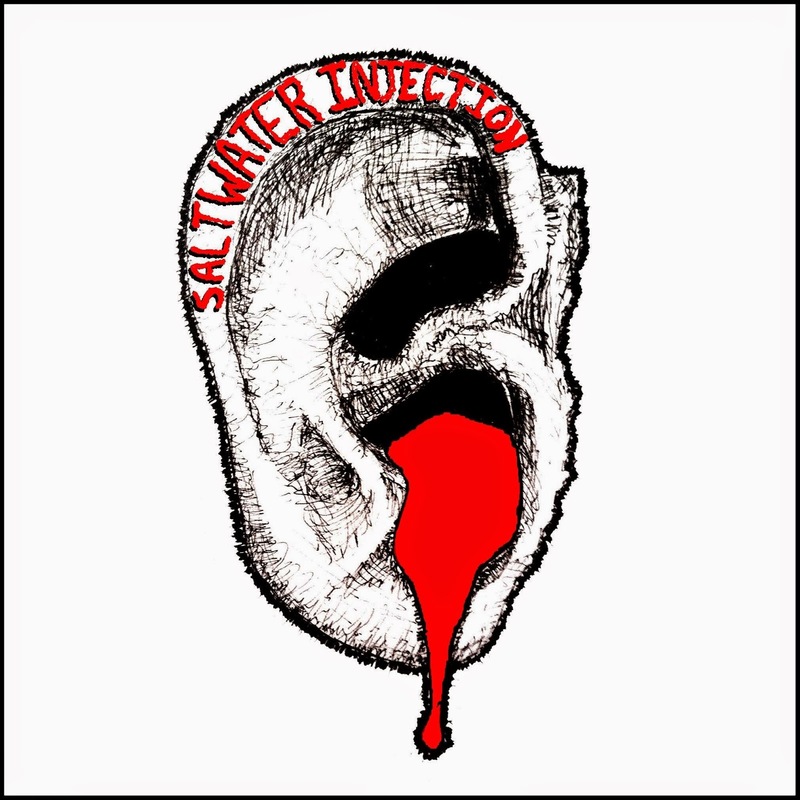 Saltwater Injection sit somewhere in between on first listen. Vinegar is raucous but the duo employ a garage-rock vocal style that reminds me of spaced-out indie or stoner. I suppose that’s a good thing because it’s pretty hard to describe exactly where this duo are coming from. Don’t let the mid-paced delivery of Vinegar fool you because Saltwater Injection hit their stride on Cuntryfile, which is faster and dirtier. At times, their orchestration reminds me of an earlier-System Of A Down, such is it’s craziness. Saltwater Injection deliver two solid punk tracks here. They’re doing their own thing and that’s all you can ask for!